Carrolline Rhodes is the author of four published works of history. These are ‘UNDAUNTED’ – The History of the Nambucca River Co-operative Society Limited ISBN 0-9581163-O-X. A commissioned work, it was published in paperback with 340 (A4) pages fully indexed. ‘MACLEAY’ – the Centenary History of the Macleay Regional Co-operative Limited ISBN 0-646-44615-0. A commissioned work, it was published in paperback with 330 (A4) pages, fully indexed. The Governor of NSW, Her Excellency Professor Marie Bashir AC, attended the launch. She wrote on the flyleaf of Carrolline’s copy: A most valuable contribution to Australian history and achievement. A joy to read! ‘HERD’ – The History of Limousin Cattle in Australia ISBN 0-646-45700-4. A commissioned work it was published in hard cover with 300 (A4) pages, fully indexed. ‘MANY VOICES ONE STORY’ – the ninety year history of the Hastings Dairy Co-operative. A commissioned work it was published in paperback with 412 (A5) pages fully indexed. In addition she is the author of ‘The Enchantress’ published by D. C. Thomson in its ‘My Weekly Story Collection’ and subsequently translated into Italian and published by Editrice QUADRATUM. Other publications include in ‘NSW Real Estate Institute Journal’ 1982 as the winner of a national writing award relating to real estate. ‘News Write’ the journal of the NSW Writers Centre – article related to writing a play, plus an article related to editing. ‘The Writers Voice’ – article that won first prize in a Fellowship of Australian Writers competition. ‘Small Acreage Review’ – article relating to real estate. ‘Southerly’ the literary journal of the University of Sydney – short story ‘With Bells and Whistles’. This story won the Marjory Barnard Award which is a prestigious competition conducted by the Fellowship of Australian Writers (NSW). She is also published in anthologies and magazines. 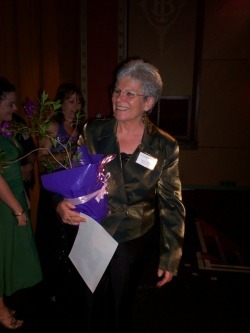 Carrolline has won many awards for her writing across a range of genres. The most prestigious have been the ‘Marjorie Barnard’ and the ‘City of Greater Dandenong Short Story Competition’. She has been short listed in the ‘My Brother Jack’ & the ‘Hal Porter’ short story awards, both of which are prestigious and highly competitive. In 2002 she was awarded a mentorship with Playlab, which was an organisation devoted to the support of Australian women playwrights. She has also won the Noosa Arts Theatre National Play Writing Competition twice. Apart from being a multi-award winning writer and manuscript assessor, she is also proficient in book layout and design. Carrolline has served on the Nambucca Valley Writers Group committee for many years. She is well known as a mentor and advocate for regional writers. She is available as a workshop tutor and workshops can cover anything from life story writing, to fiction, to affordable short-print-run publishing, and writing for performance. She can be contacted at carrollinerhodes@yahoo.com.au.